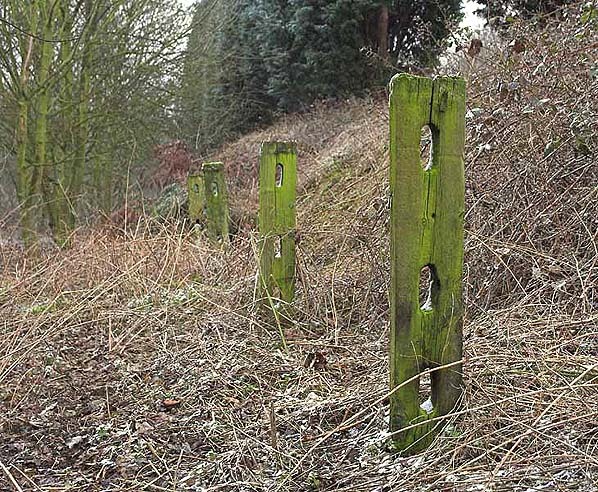 Present state: Demolished when the M62 motorway was built in the mid 1970's, no trace remains apart from some railway fencing sections in the trees north of the motorway. Notes: The station was opened as Newport and was renamed Newport (Yorks) 9.1921 and renamed again to Wallingfen 1.7.1923, to avoid confusion with other Newport stations. Some large scale OS maps continued to show the station as Newport into the 1950s. 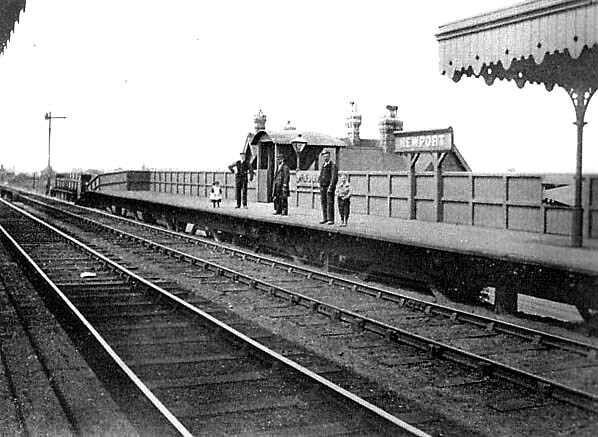 The station had two timber platforms built into the side of an embankment. Each was provided ed with a small timber waiting room with a canopy over the platform. There was a substantial two-storey street level building on the down side on Thimblehall Lane. The booking office and waiting rooms were on the ground floor with accommodation for the stationmaster on the upper floor. At the back of the building there was a canopy allowing passengers coming out of the building to reach a covered stairway up to the platform. There was a similar covered stairway on the up side but no street level buildings. The station had a small goods yard at street level on the down side. Facilities were very limited to general goods and parcels according to the 1904 Railway Clearing House handbook of stations. 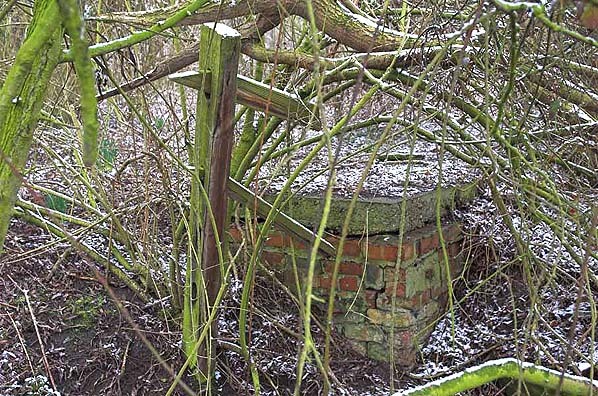 There were two sidings terminating close to Thimblehall Lane where there was a weighbridge. A yard crane is show in an 1890 OS map but this is not shown on the 1909 map and not listed in the 1904 handbook. The plans finally found fruition in 1880 in the charge of Col. Gerald Smith (a Hull banker) and through the cooperation of the Hull Corporation (including the sale of land to the railway, and an investment of £100,000). As part of the Hull Corporation's involvement with the scheme came the power to veto any joint workings with other railway companies or selling or leasing of land,] and despite the opposition of the NER (which had been instrumental in blocking previous plans, the Parliamentary Bill was passed with minor alterations on 26 August 1880. The company The Hull, Barnsley and West Riding Junction Railway and Dock Company (formed 1879) began work on the new line and associated deep-water dock which was completed by 1885. Newport station before 1921. The two storey station building was at ground level; a covered stairway brought passengers up to platform level. 1909 1:2,500 OS map. The original name is shown on this map; although the name was changed to Wallingfen in 1923, OS maps from the 1950s still showed the station as Newport. The two storey station building is on the down side of the line adjacent to Thimblehall Lane. A canopy is shown at the rear of the build from where a covered stairway leads up to the platform. A similar covered stairway gives access to the up platform. There are two small buildings facing each other on the platforms; each was provided with a canopy. The goods yard is on the down side at street level and comprises two sidings. 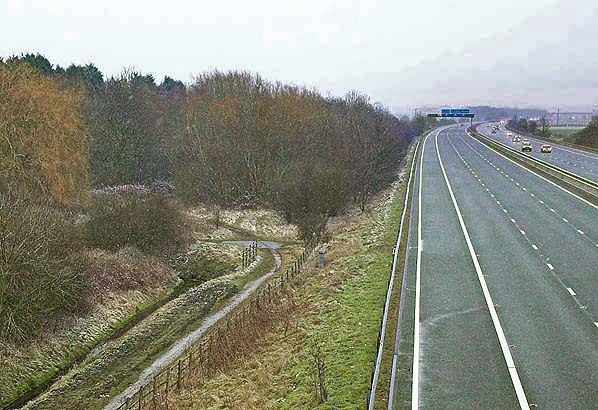 Looking east at the site of Wallingfen station from a bridge over the M62 in March 2006. 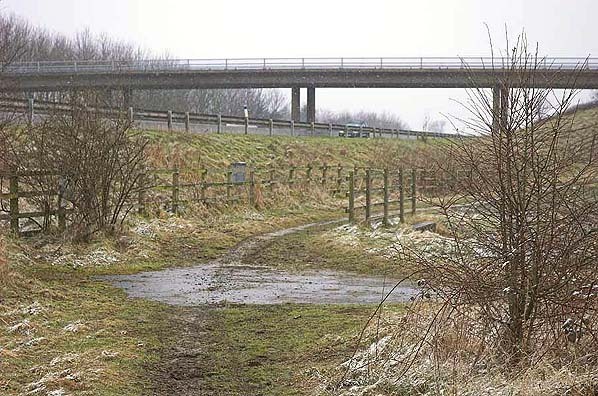 The station stood approximately in the centre of the M62 on an embankment necessary to gain the required height to cross the Market Weighton canal by girder bridge just to the east (close to the motorway signage gantry in the photograph). A station house similar in design to North Cave and Willerby stood to the north (left in photo) side of the line, wooden platforms were provided at track level. Looking west from the site of Wallingfen Station in March 2006, with the M62 following the course of the railway at this point. 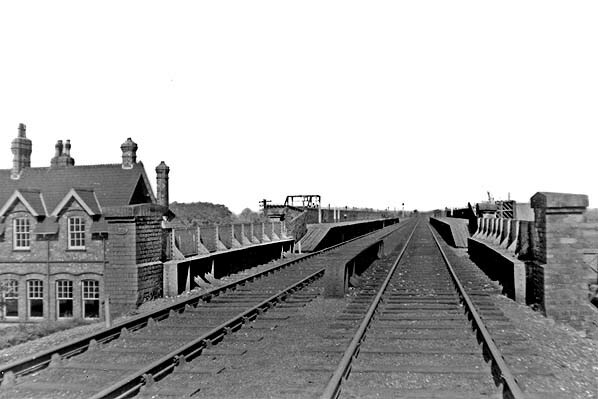 A bridge stood at the west and of the station just to the left of the camera position, carrying the line over a the road, a fragment the roadway can be seem in the foreground.